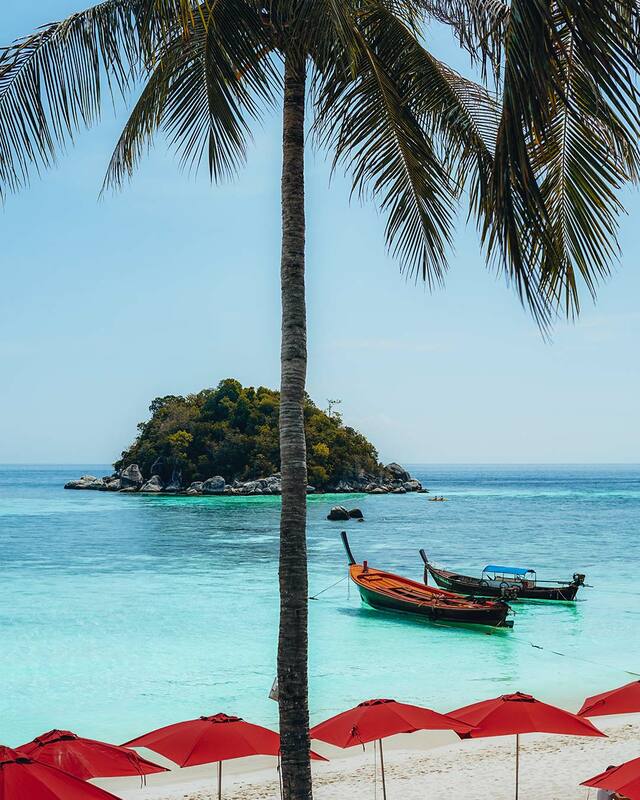 Koh Lipe is one of the smallest islands in Thailand and is often called the ‘Maldives of Thailand’. 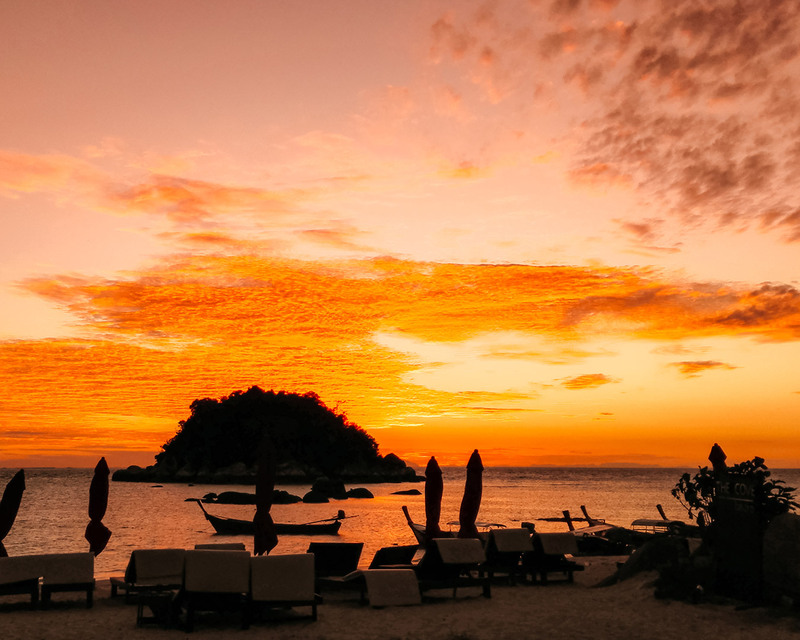 It is a paradise in the South Andaman Sea, well-loved for its white sandy beaches and turquoise blue waters. 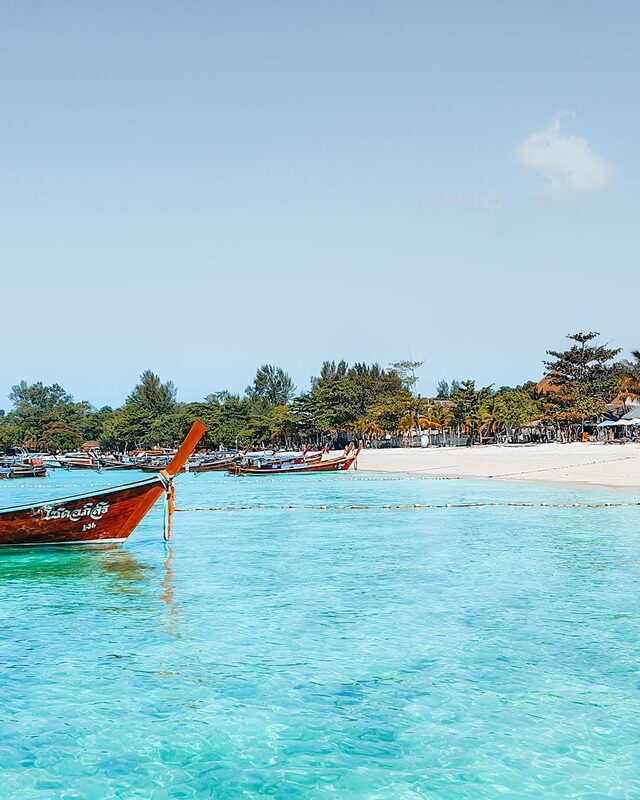 If you are looking for an Island vibe which is less touristy and less party, Koh Lipe is the perfect place! 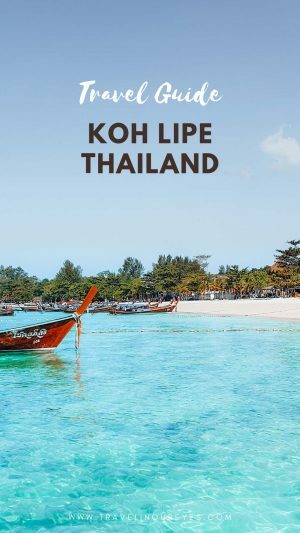 Our Koh Lipe Travel Information for first-timers will help you navigate through this small island with useful information and our secret tips, including staying safe in the waters and how to respect coral and marine life. Now, you can go have an unforgettable adventure discovering Koh Lipe. 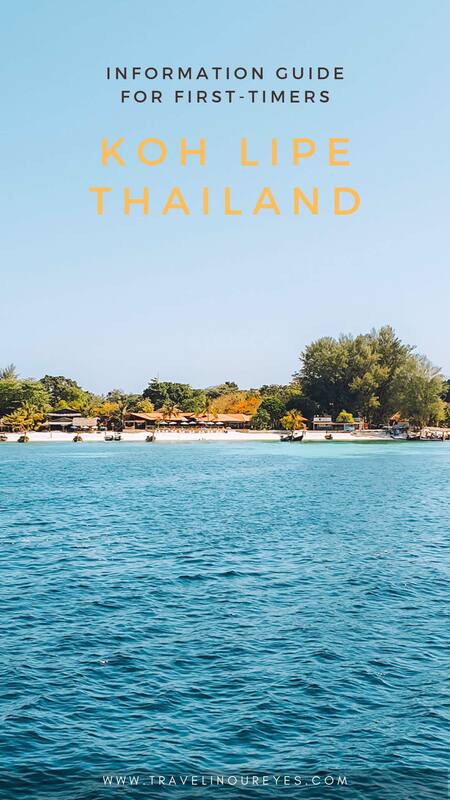 And if you’re planning an add-on trip to Bangkok, check our Bangkok Travel Guide curated for first-time visitors to the city and Thailand. 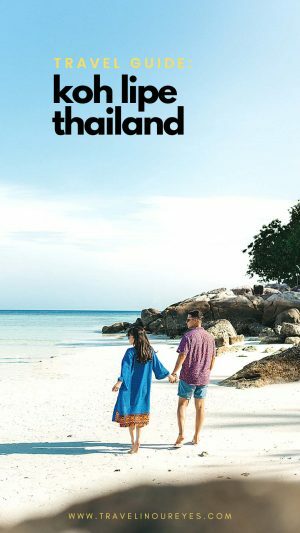 The Bangkok Travel Guide for First-Timers covers all the need-to-knows and cultural nuances to fully prepare you to travel through this beautiful country. LANGUAGE: Thai. 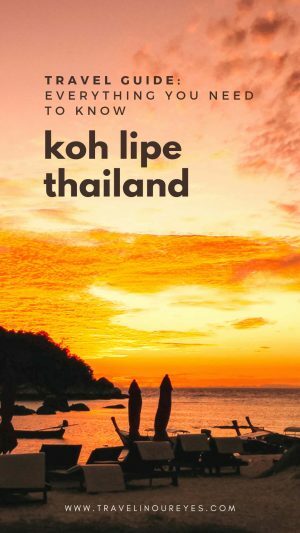 English is relatively widely spoken in Koh Lipe. VISAS: You must have a valid passport with at least 6 months validity to enter Thailand. Nationals of 55 countries fall under the ‘Visa Exempt Rule’ otherwise, you will need a tourist visa. Check here for more on visa requirements. 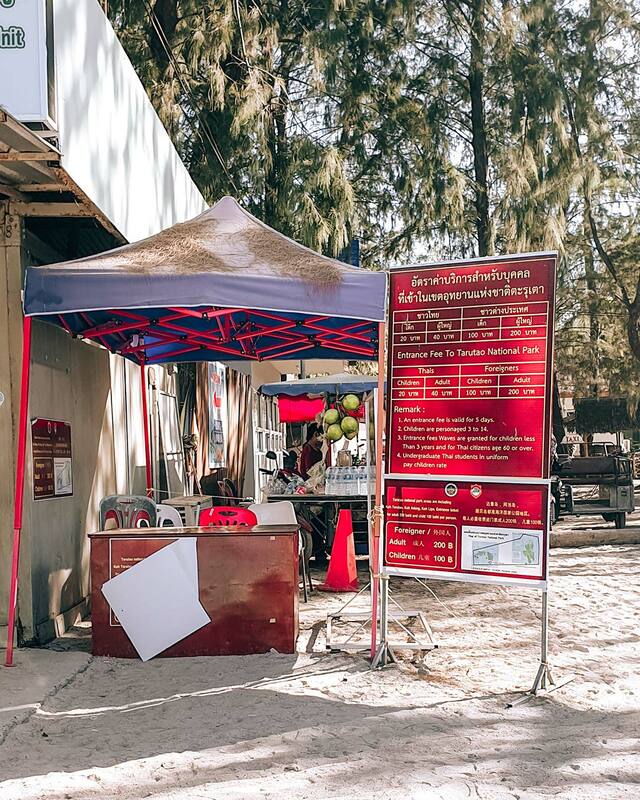 IMMIGRATION: The immigration office in Koh Lipe for tourist coming from Langkawi, Malaysia or from anywhere in Thailand is on Pattaya Beach near the Bundhaya Beach Resort during High Season (November to April). During Low Season, immigration will be through the Satun province and the arrival of speed boat will be at Sunrise Beach near the Baan Koh Adang School. If you are arriving from Langkawi, Malaysia, the ferry operators will take your passports and keep them for the duration of the ferry ride. You will only get back your passport when you get to the immigration checkpoint on Pattaya Beach. TARUTAO NATIONAL PARK ENTRANCE FEE: You will also have to pay 200 Baht for a Tarutao National Park entrance fee that is valid 5-day. Keep this Entrance Ticket with you at all times, even when you’re laying out on the beach. Thai authorities have recently taken serious measures for those who overstay their visas. The new penalties include being banned from entering Thailand for up to 10 years as well as detention and arrests. VACCINATIONS: There are no compulsory vaccines required for entry into Thailand, just the usual travel vaccines – Typhoid, Hepatitis A and Tetanus – are recommended. Note that if you have recently traveled in South America or sub-Saharan Africa the Thai immigration authorities will usually ask you to present your vaccination certificate against Yellow. 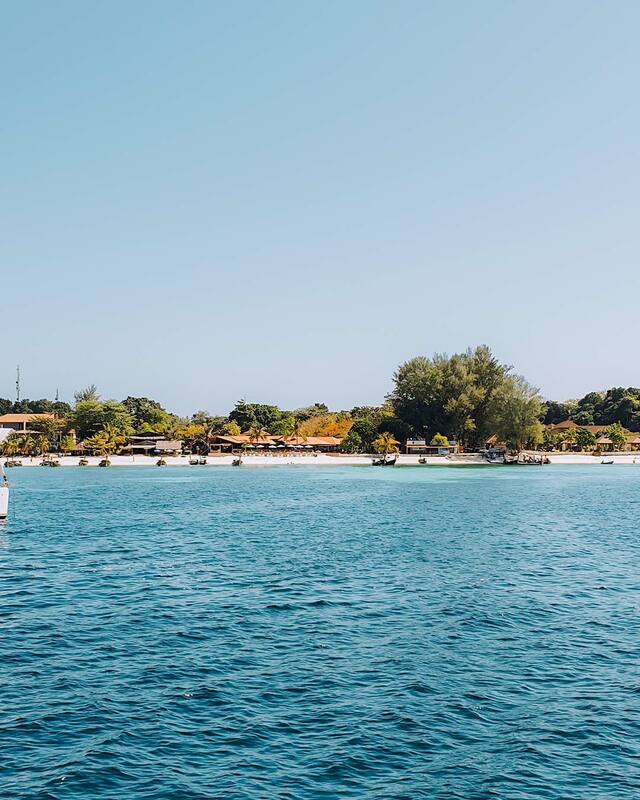 There are 2 main seasons in Koh Lipe: Summer (High season) from November to April: you can expect warm sunny weather and little rainfall and Winter (Low season) from May to October. 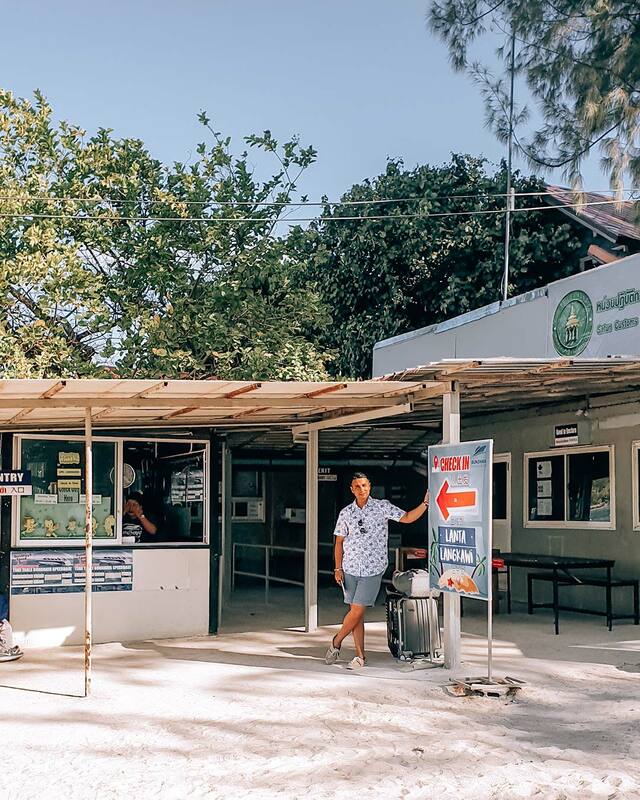 If you’re visiting during low season, you may have to visit the main immigration office in Satun before heading to Koh Lipe. This is the top of our safety list because one of us got stung by a jellyfish across both arms while snorkeling near Koh Lipe. Though it supposedly wasn’t the season for jellyfish, we saw a good number of them once we got into the water. There is difficulty in communicating with the boat operator and likely no medical kit on the longtail boat so you should expect to only get treated back at the hotel/resort. In this instance, it wasn’t life-threatening, but it sure was painful and uncomfortable, and due to the lack of information on what to do and how to treat it, it was a bit of concern. In recent years, there have also been more sightings of Box Jellyfish (the most venomous creature in the world) and Portuguese Man o’ war around certain coasts of Southern Thailand. The tide goes down very low during low tide leaving a lot of coral exposed. Snorkels and kayaks will not be rented during low tide. If you are already out in the water, be mindful of when the tide is going out (it goes out quickly) so you can get back to shore and return your equipment. Flags will be erected in the sand to alert everyone of low tide and it’s best to get out of the water, get drinks and hang out by the pool till the tide comes back in. Water from the tap is not safe for drinking. It is recommended to drink bottled water from sealed water bottles or drinks from cans or bottles. Avoid drinking water from the jugs in restaurants or street stalls. Though very tempting in the heat, avoid ice as a precaution if you are concerned about upset stomachs or any water-borne diseases and illnesses. Generally, the level of food hygiene throughout the country is relatively high and shouldn’t be a problem in restaurants but take more care when it comes to street food. When trying street food, of course, look at the cooking and water conditions and opt for only cooked food. In addition, make sure the food is cooked right there and then. As an extra precaution, bring along anti-diarrhea medication and carbon pills. Thailand has good medical facilities and hospitals and is easily accessible for tourist. For minor health issues –food poisoning, flu or infected cuts/abrasions, travelers can seek out a pharmacist at a pharmacy or an English-speaking local clinic. Clinics and Pharmacists are generally affordable and offer reliable healthcare. There are quite a number of ‘International’ clinics and medical centers on the island. Be sure to triple check your travel insurance details prior to your trip so that you’re well aware of all the options available to you. Crime overall is quite low since the place is less touristy. However, always keep your valuable belongings with you. Keep close tabs on your wallet, credit cards, passport and mobile phones. Penalties for the possession, distribution and consumption of drugs in Thailand are severe. The possession of even what some may regard as small quantities can be punishable by imprisonment. Though it’s a small island, you can find a few ATM machines and money changers around Walking Street. When using a foreign ATM card, there will be an additional charge of about THB160-220 depending on the banks each time you withdraw. If you must withdraw money from the ATM, also note that the ATMs will also give you an option to accept their conversion rate or ‘Continue without Conversion’. If you click ‘OK’ you will be given an unfavorable exchange rate. Be sure to select ‘Continue without Conversion’. Note that the exchange rate from money changers on the island are not in your favor! It’s best to budget how much you need and change money from your last destination before Koh Lipe. Tipping is not expected in Thailand. A 10% service charge and VAT is usually already included in the bill at restaurants and bars. Bargain anywhere from 20-40% when you’re at any market. The more upscale tourist markets will pretty much only give you a 20% or so discount. There is a very obvious ‘tourist price’ and ‘local price’ in Thailand. Although you can’t always avoid being given the tourist price, if you have time, you can compare a few places ahead of time to know what a good price is. Or you can decide how much you’re happy to pay for the item, get it down to that price and be done with it. Sometimes, when you do the conversions, you realize that you’re haggling for something like a mere USD0.50! The only transport you can find in Koh Lipe are mopeds and three-wheeled tricycle-like motorcycle. It is the island’s taxi. But the island is only 2km long so you’ll rarely need one. The fee depends on your destination. Like most of Asia, food is a big part of the culture and family in Thailand with underlying customs. There are a few things to know about the customs around food. Thai meals are served ‘family style’ and it may look ‘greedy’ if you place all ‘your’ portions on your individual plate all at once. We also learned that in Thai culture, the host must make sure there is way more food than is necessary for his or her guests, meaning often times there is a good portion of leftover food. If all the dishes are all finished at the end of the meal, it implies that the guests may still be hungry. This will be an embarrassment for the host. Unfinished food indicates that everyone has eaten till full. Leftover food shows a high sign of respect to the restaurant’s owner. So if you invite a Thai for a meal, make sure that you order plenty of food! In Thailand, it is a criminal offense to make critical or defamatory comments about the King or the Royal Family. Even if it’s just a joke or a harmless comment in passing between your travel mates. It is a law under the Criminal Code and you can be imprisoned for doing so. You will see Thai’s greeting by raising both hands, joining the palms (like a prayer) and bowing the head slightly. This is called ‘Wai’ and is the common form of greeting in Thailand. The friendly islanders are always ready with a wave and cheerful “Sawadee ka”. Thai’s consider the head a sacred part of the body, so touching the top of someone’s head is frowned upon. Even playfully ruffling a child’s hair may be considered as an uncomfortable violation of the person’s personal space. With over 400 Wats in Bangkok, it’s no wonder that over 90% of the population in Thailand is Buddhist. The Thai’s take religion seriously and appreciate the respect towards the religion from visitors. That includes dressing and acting respectfully when visiting Buddhist temples or other sacred sites. Also, be aware of using images of the Buddha as decoration (including tattoos) is considered disrespectful. We included this in this Bangkok Travel Guide for first-timers because we had no idea until we were in Bangkok during this period. No alcohol is allowed to be sold in Thailand on Buddhist holidays, but it can be consumed. Alcohol sales are prohibited on these five specific religious days: Makha Bucha (Feb/Mar), Visakha Bucha (18 May), Asarnha Bucha Day (Jul), and the start and end days of Buddhist Lent. 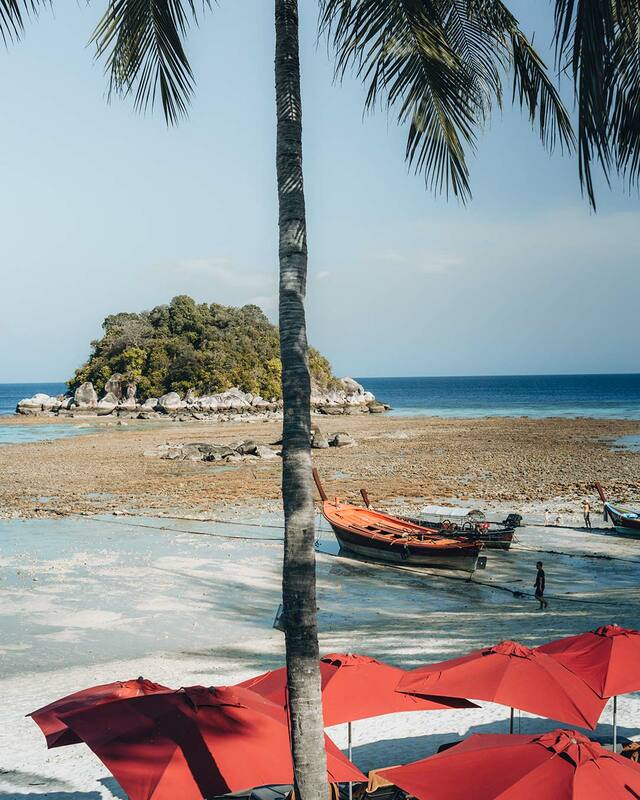 This Koh Lipe Information Guide for first-timers is just the basics that we found important to know about the place, safety and getting around just before you head out to explore. Drop us a note or comment if you have any questions and we’ll be happy to help. Enjoy Koh Lipe!